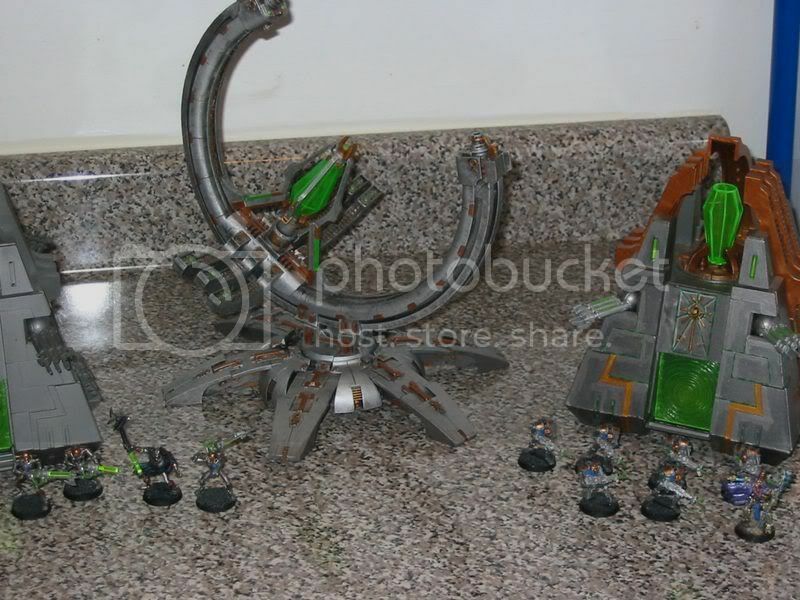 OK, just post pics or links to pics so we can all see your Necrons. Essencially one post per user. Edit: I am cleaning this thread up; I will combine users pics this one time... after that, you use the modify button or I will delete your additional Posts (One user = One post)... its easier for people to actually view the armies that way. "Every war is fake, every disease false and every famine virtual. 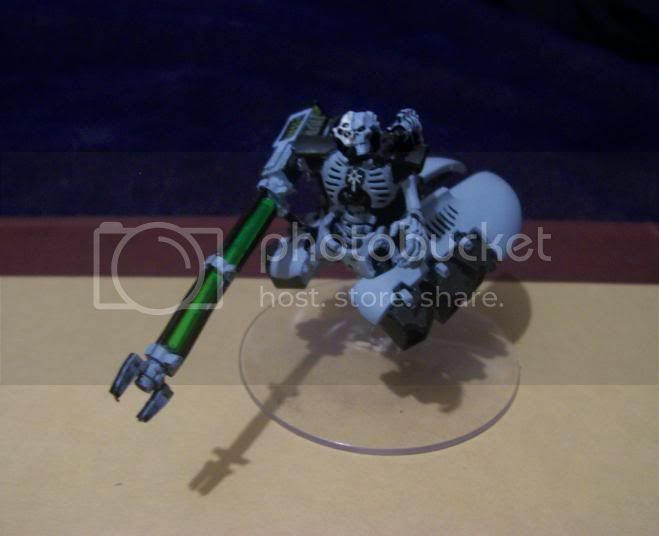 The Imperium has become a stagnent pool of heresy and I am here to stir things up." //I also didn't paint either C'Tans. I bought the Nightbringer on eBay for 19.99 painted professionally and mounted. AWESOME DEAL! 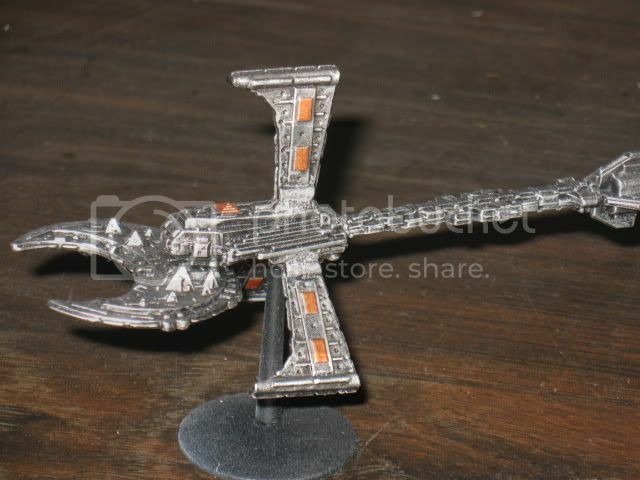 //Didn't paint the Wraith either...bummer, but again, awesome deal! 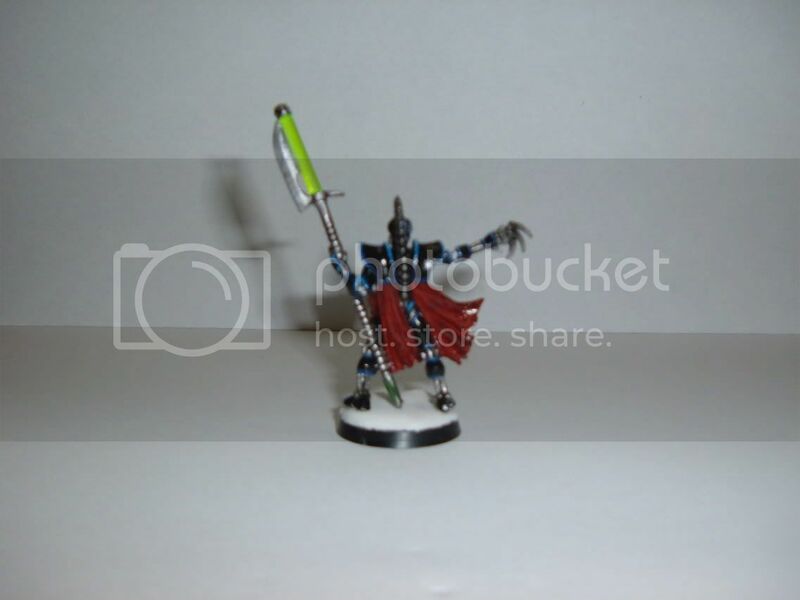 7.99 painted. The brains behind the greatest clan software EVER! 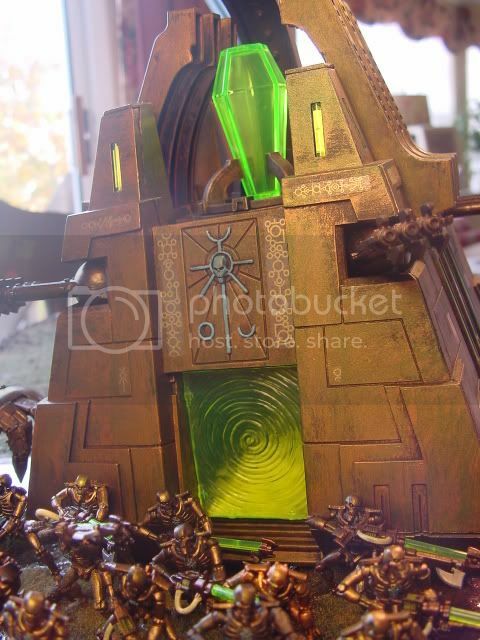 WANT TO PLAY WARHAMMER ONLINE? I got this off CMON and its really funny and I thought I should post it here so here it is. 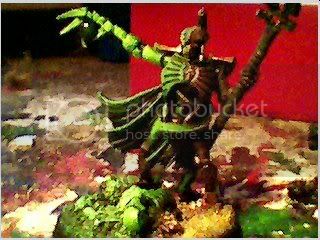 Lord Inquisitor Tempestus; Captain Buzzkill. A plea of innocence is guilty of wasting my time. 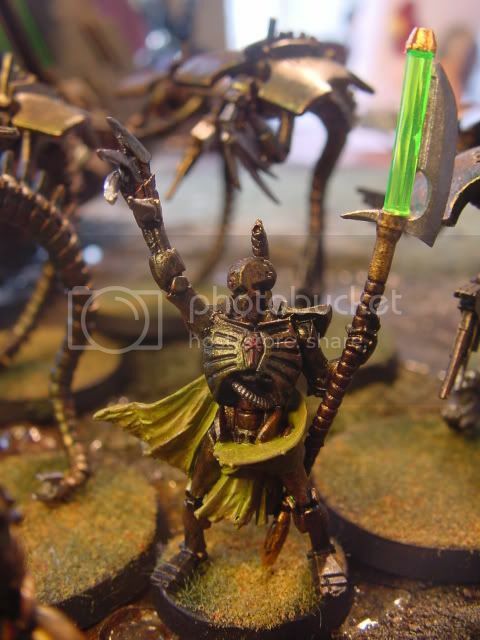 http://www.deviantart.com/view/10193959/ My Lord with converted Warscythe. 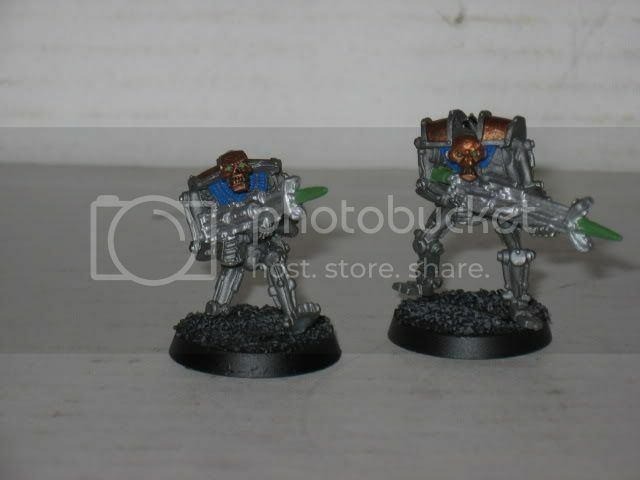 I think I know my own armies weapons. 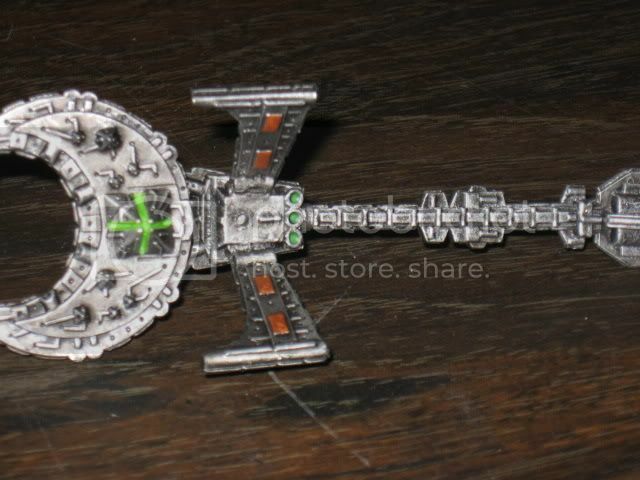 I carry with me an Inquisitorial Seal. It is a small, unassuming object contained in a neat box of Pluvian obsidian. It is a modest thing. Relatively plain, adorned with a single motif and a simple motto. 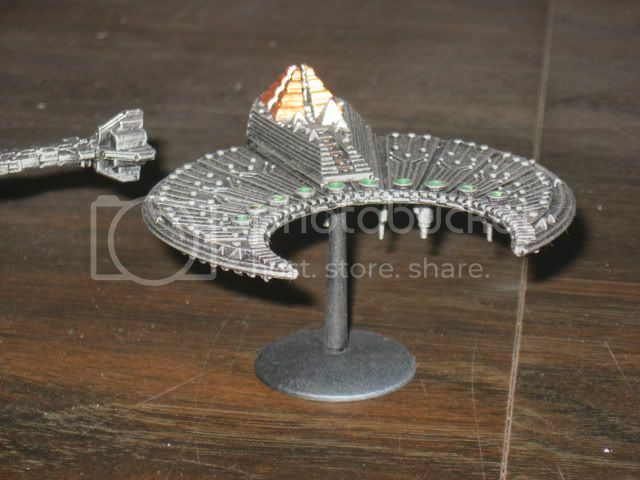 Yet with this little object I can sign the death warrant of an entire world and consign a billion souls to Oblivion. 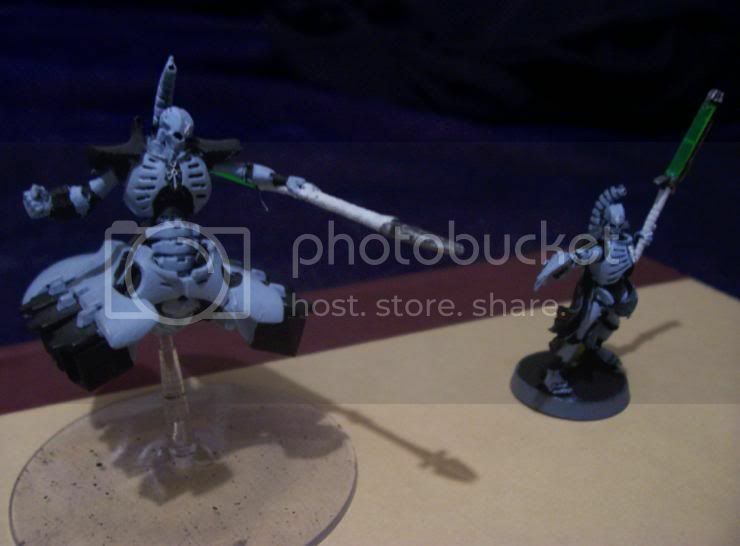 Hey all, this is my first post on what has been a haven for ideas and concepts for my own Necron army, and as such I thought I should dump some pics on you all. 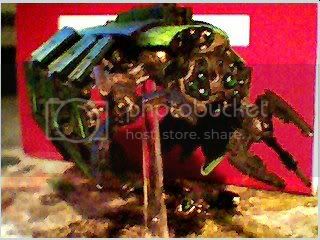 A pretty quick pic of one of my Tomb Spyders; if I can I'll put up pics of the blending done on the legs and backside, along with this one. 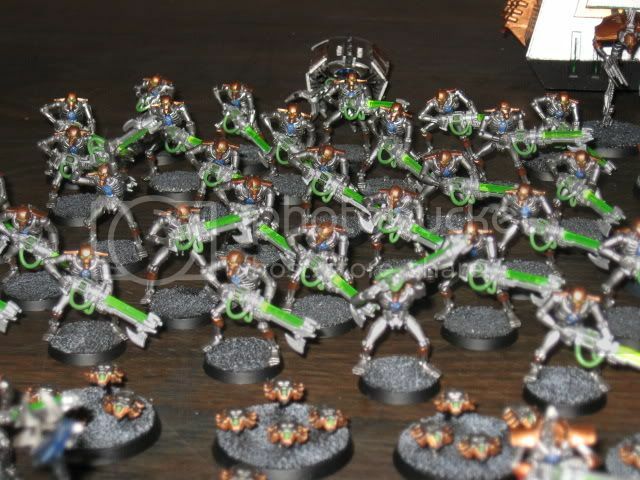 My new Necron army. I have one battle (unfinished) under my belt. I can tell it is going to take a lot of practice. How many things, apparently impossible, have nevertheless been performed by resolute men who had no alternative but death. 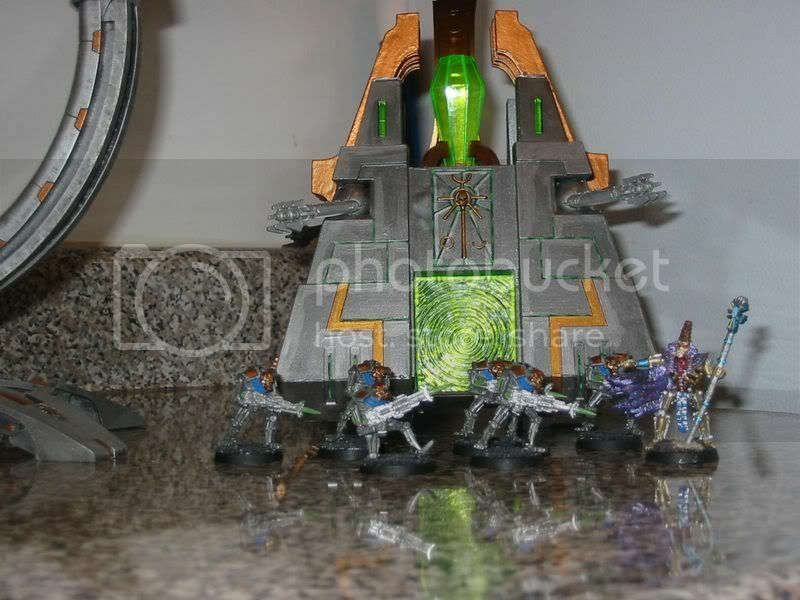 Your necrons were nicely done macharianmike, I like how you used ice blue on all the crests and the monolith to tie them together, but why does the lord have a scab red crest? 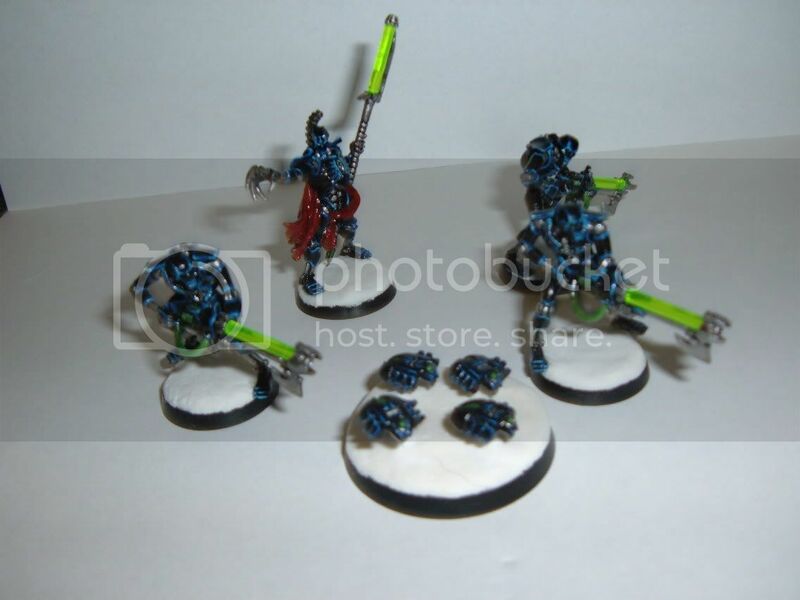 Here are some photo's of my 'crons. 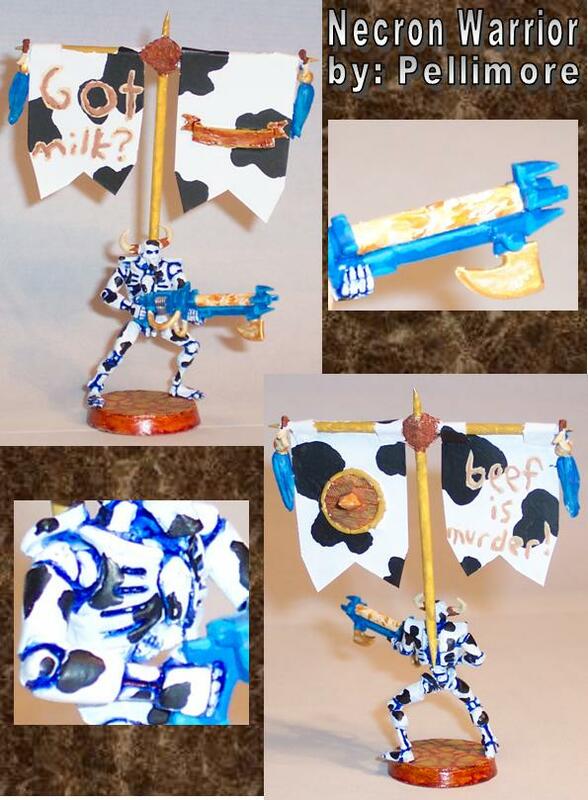 There is one thing to keep in mind when look at these though, they look brighter than they actually are because of the gloss coat that they have, especially my lord's cape. 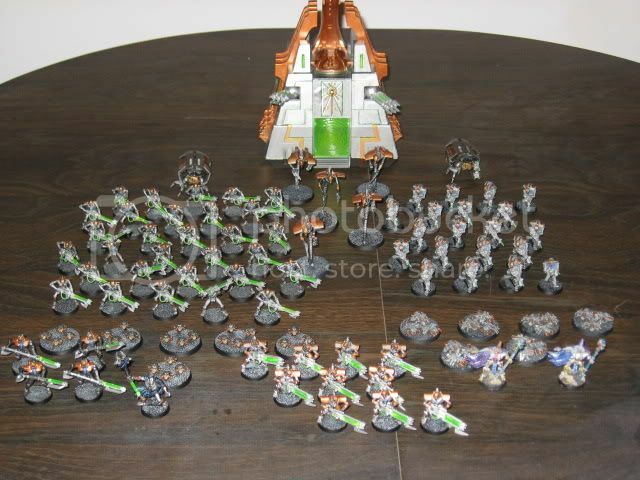 It's really quite sad to think that I have had them for about 3 months now and still have only finished 3 warriors, 1 scarab swarm, and my lord. Oh well, when I finish my howling banshees I suppose I will have to mass produce them to catch up. Here's some of mine , any tips etc would be greatly appreciated , and enjoy ! 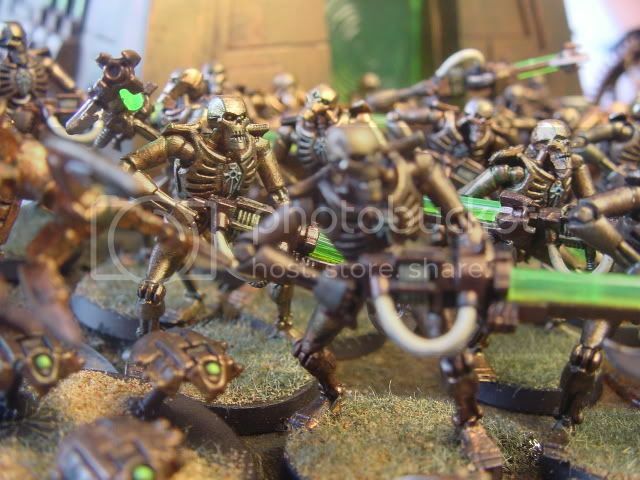 Don't be a Necron Playa Hater! Well, i figured it's about time i make a contribution too. They're still pretty much work in progress. 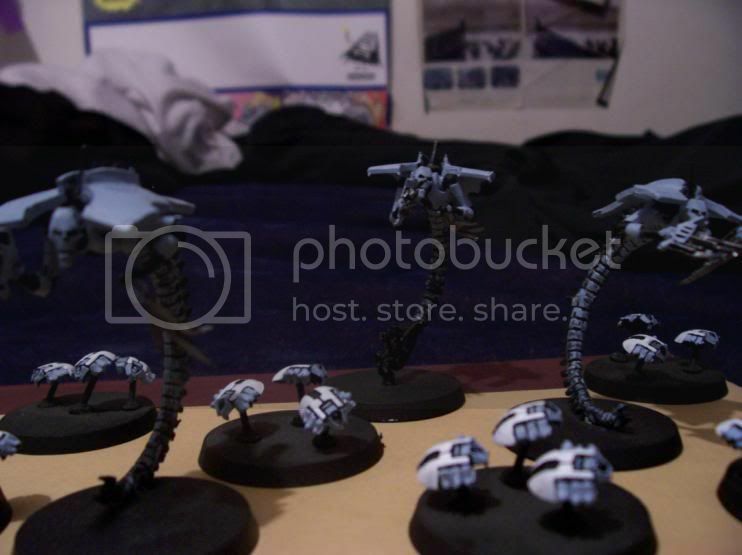 Basing, details on the guns and chest,... But they're coming along. Albeit slowly. I'm actually having some trouble on deciding a good secondary color that'll give them that little bit extra. They're looking a bit too plain for the moment. Shh! I'm handling my brush. I'd suggest you try adding gold. Anything that looks like jewelry or crests, paint over with gold. 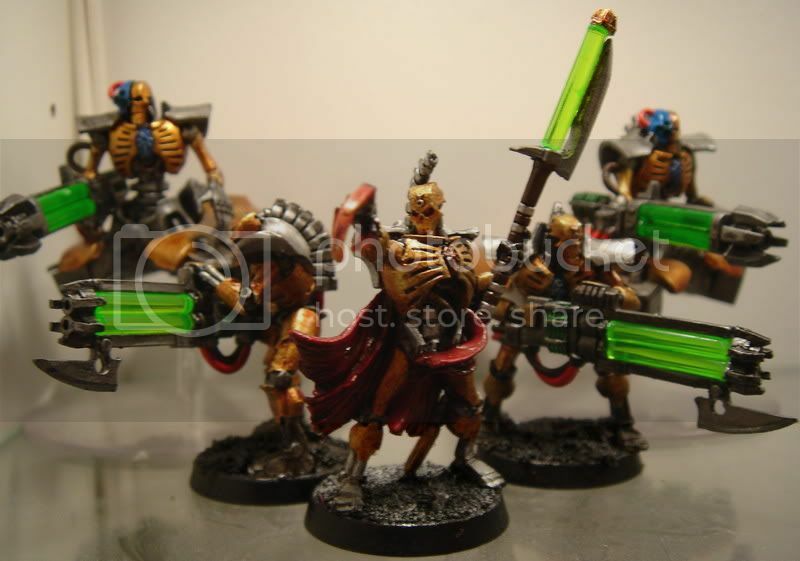 It won't be a dominating color, so the overall look will remain the same, but each Necron will have a splash of gold on its chest, and maybe a little bit on its gun as well. If you wanted a more major secondary color, you could always go red like you did with your lord, but I wouldn't. 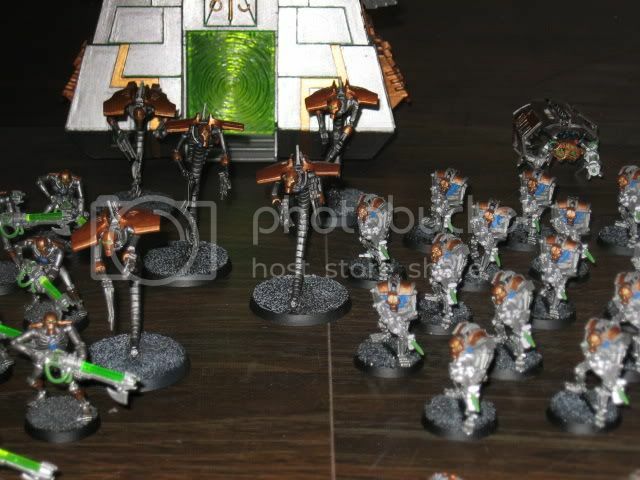 I like how it sort of makes your Lord stand out...also, I've tried a black/silver/red terminator-like color scheme before, and it just doesn't work out as well after the green gauss rods were introduced, so I would not use red as a secondary color for your army at large. 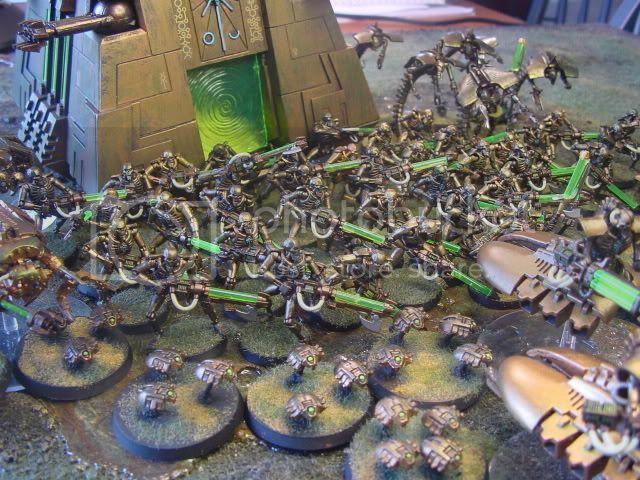 What's that Waaagh about anyway? 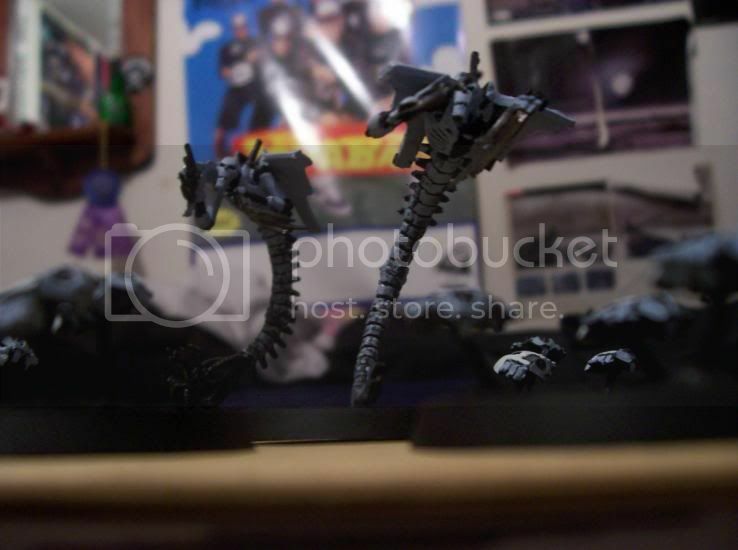 Here are some pictures of my (unfinished) army. 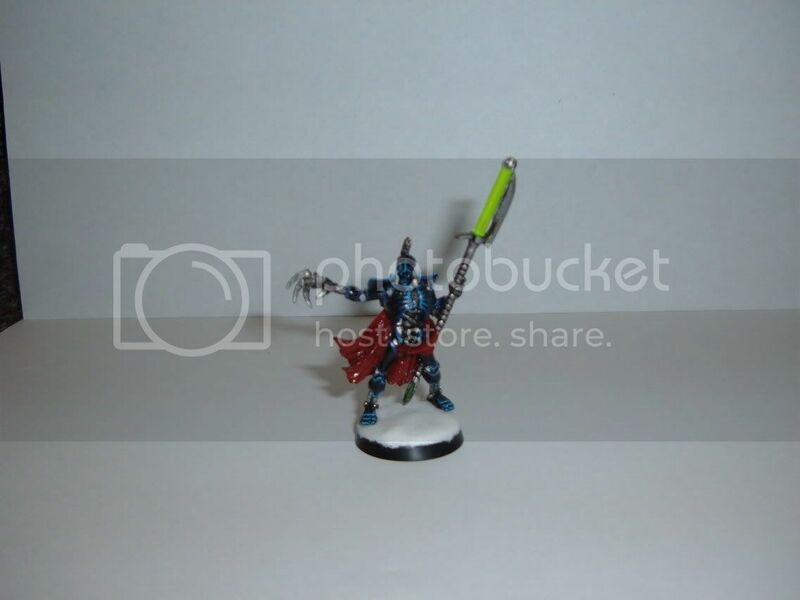 I'm not yet sure whether I should continue using this painting scheme as it takes a lot of time to paint the models. Anyway, here are some pictures. 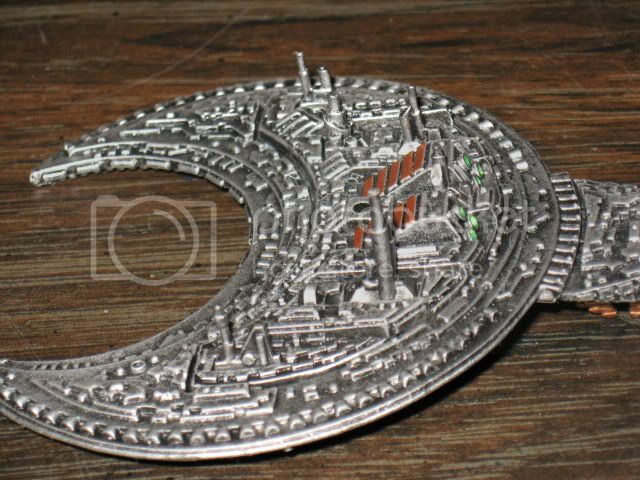 so you could claim a table quarter. " <"So? It's a game! You're supposed to try to win! " >"That's exactly what I mean. You just play to win. " <"That doesn't make me a power gamer! " <"What? Why don't you say something? " 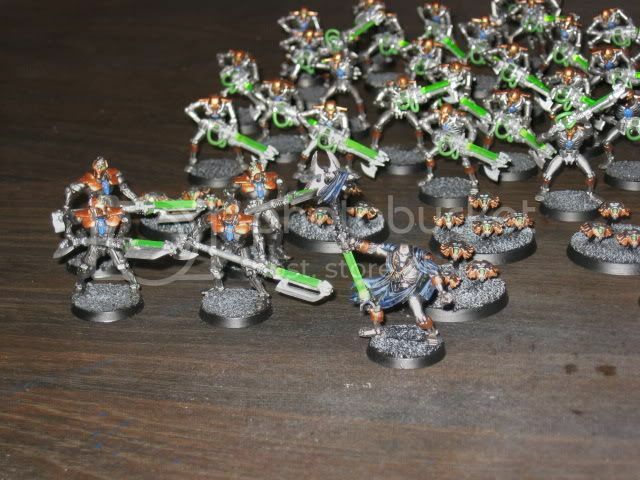 Here's a couple of pics of my Necron army, small at the minute but growing fast. 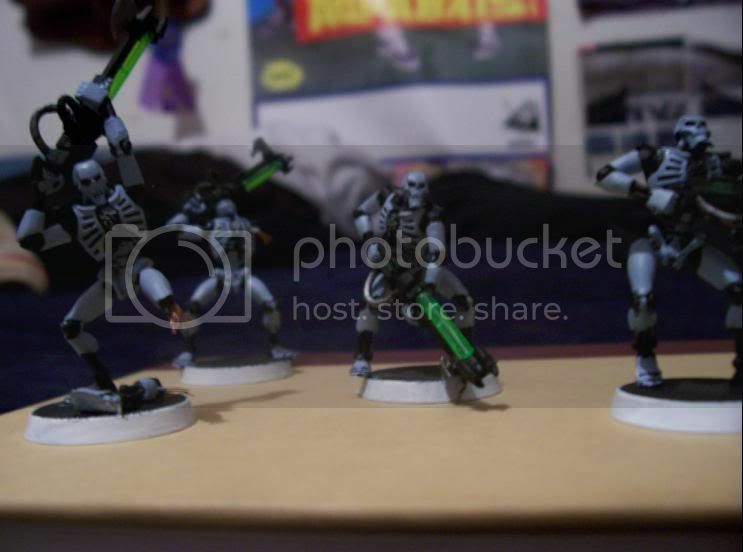 Ok, I got my hands on a digital and took some pics of a very small part of my Necron forces. 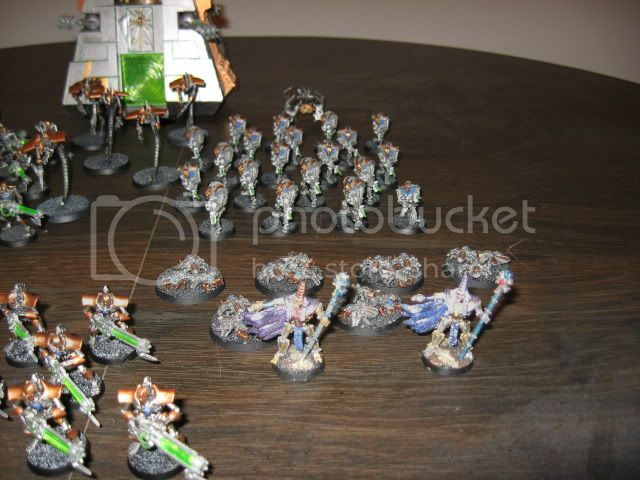 I took some of my 1st edition Cron Warriors and some of the new models, along with their lords. The Pylon is going under a repainting job. 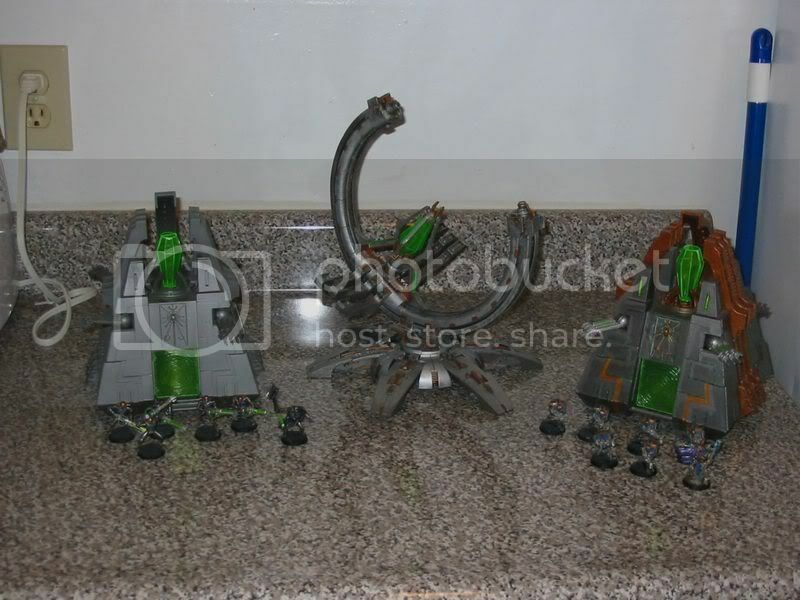 I'll take more later on, and possibly of the entire Phalanx in the future. 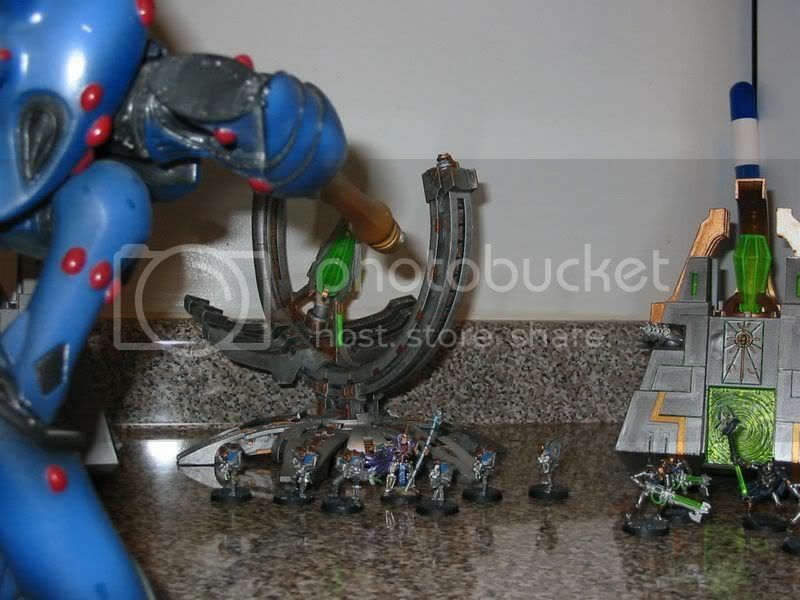 Necron Warmachine vs Eldar Titan! Who wins? 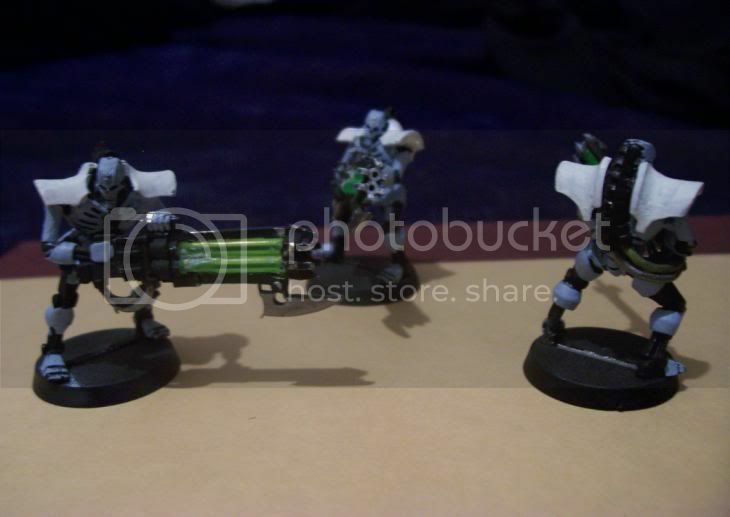 With Halloween around, I chose to put some time into my old necron army for a change of pace painting. 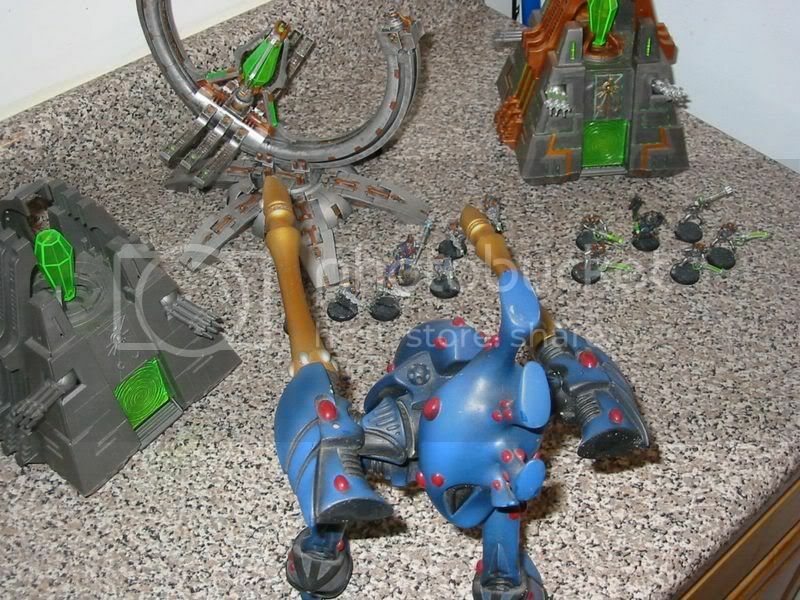 I haven't used the army since Medusa V, and there is a lot more to the army, as some have seen my older pics posted here. 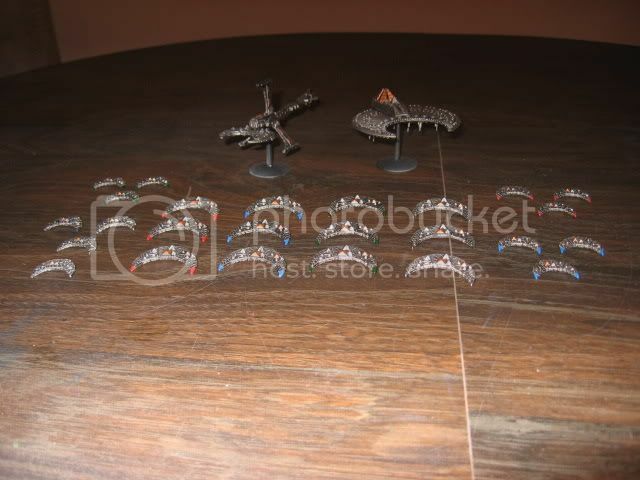 This time I just worked on the stuff I had fully painted and based to display. 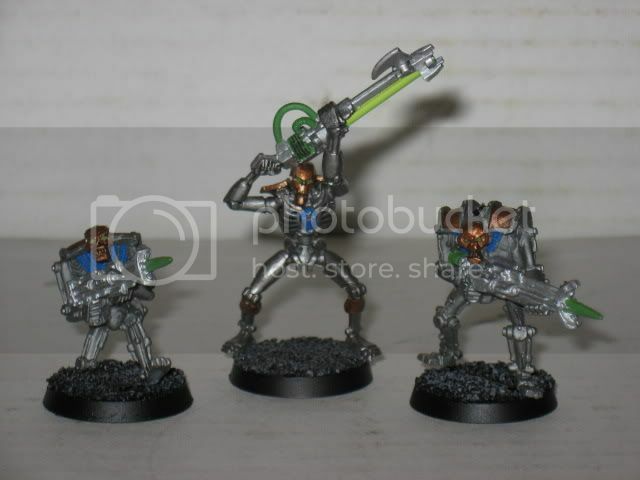 I've also added to the whole army with a BFG addition in the last year or so. I have more posted on my blog about the army....Enjoy! 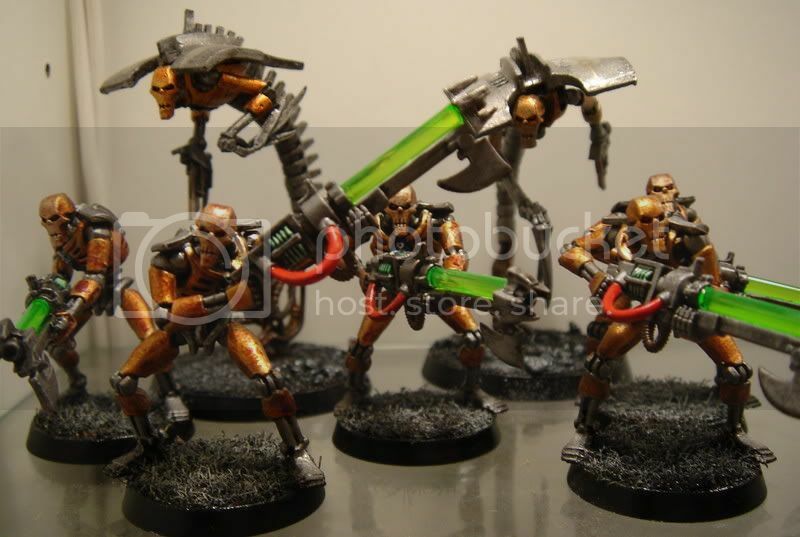 Wraiths! 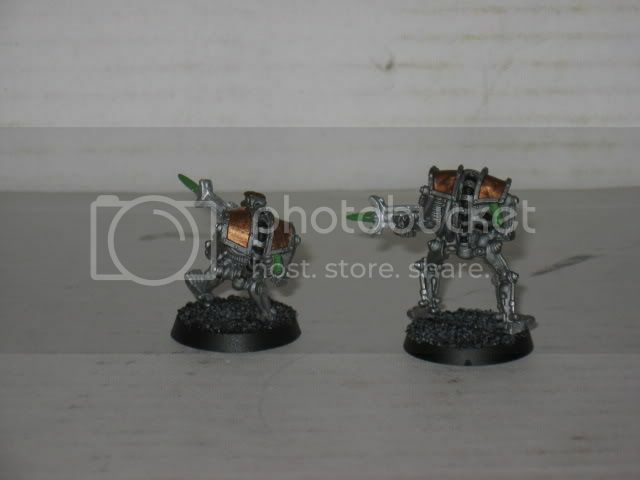 Wraiths! 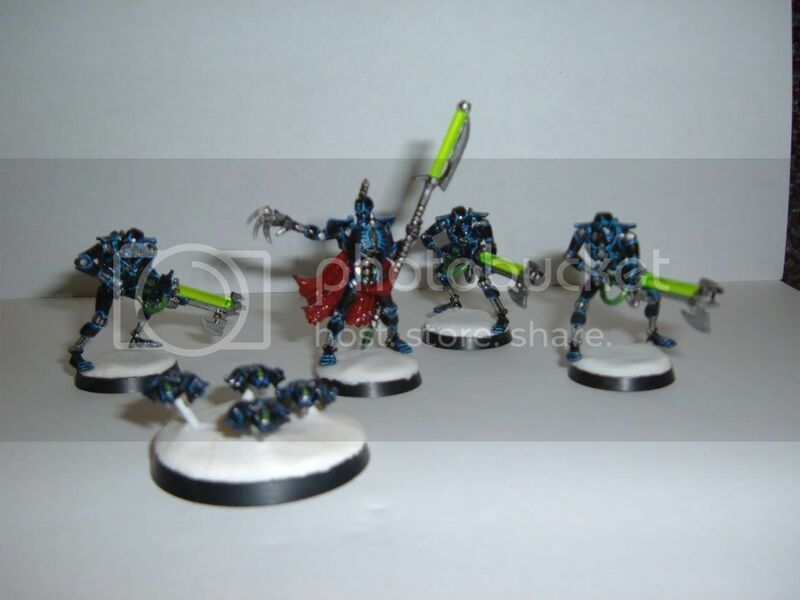 And More Wraiths! 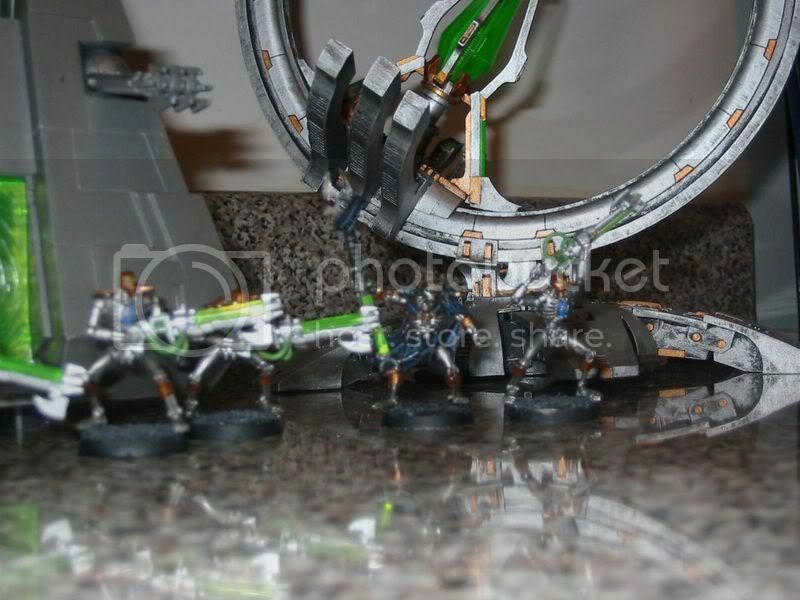 Outnumbered and Outgun the Eldar Titan will soon fall to the forces of the Phalanx of the Bronze Face! By popular request.....My Older Warriors close up! The paint job on the older warriors is by far the simplest of the the entire Phalanx, although it does mix well with the rest of my forces. 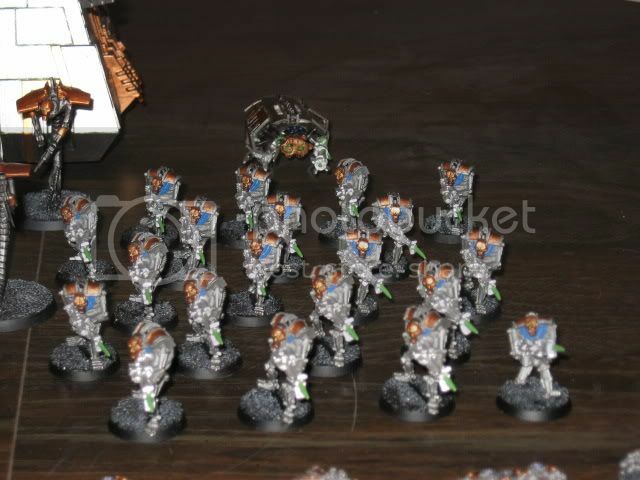 Keeping with the same scheme of Bronze and Bolter.